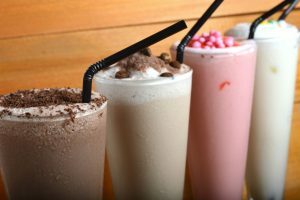 If you are committed to a healthier lifestyle for you and your family and want to enjoy more fresh fruits and vegetables daily in the shape of delicious smoothies and shakes, then some form of blender has to be an essential piece of kitchen equipment. 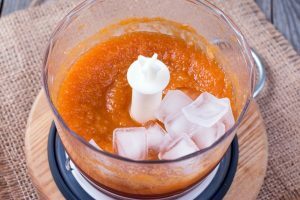 It’s not just drinks that you can quickly prepare in a blender either. They’re perfect for saving you time and helping you to whip up homemade sauces, soups and baby food too. Bullet blenders make a smart and convenient choice because they are powerful, versatile but also don’t take up too much countertop space. Generally speaking, thanks to that aesthetically pleasing, modern-shaped bullet design, they look every bit as good as they perform. With integrated drinking cups, you really just blend and go. 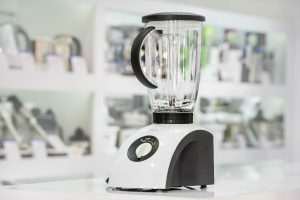 There are a couple of factors you need to consider before spending that hard-earned cash of yours on a new bullet blender. The essential criteria being price, horsepower, features, and accessories, the number of blades as well as the ease of cleanup after use. Let’s face it, if your blender is just too difficult to take apart to clean, the chances are you won’t use it. 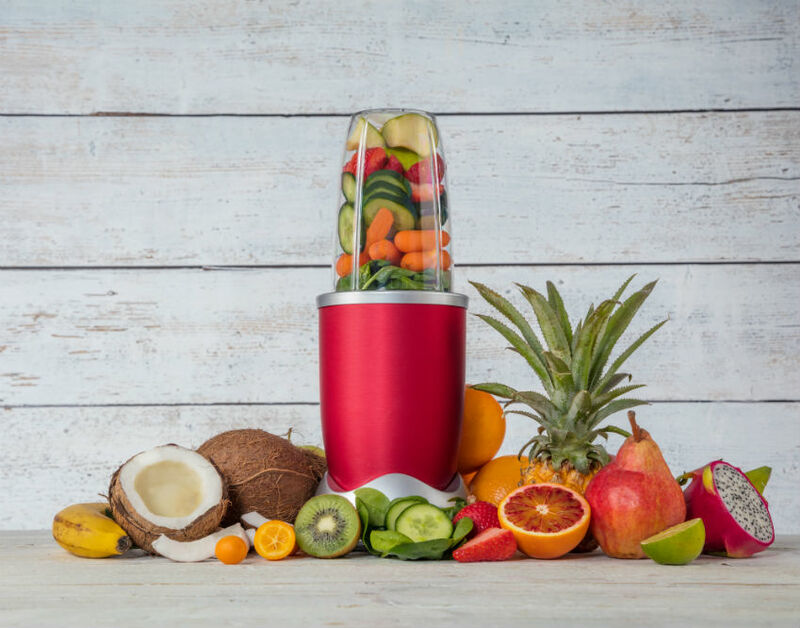 If you’ve currently whittled that choice down to the Nutribullet and the Magic Bullet, but you can’t quite make that final decision about which one to invest in, then we’re here to help you make that final decision. Although these two bullet style devices have their similarities, notably that they come from the same manufacturer Homeland Housewares, they do have some differences too in elements such as their overall price points, features and the demographic to which they are principally marketed. So let’s delve in and take a look in more detail at the relative merits of the Nutribullet vs. Magic Bullet. As a quick top-line comparison before we delve in, the Nutribullet has a powerful 600-watt motor, is dishwasher safe for hassle-free cleanup and comes with a maximum pitcher capacity of 45 oz. The Magic Bullet, on the other hand, is a complete mixing set with a smaller 250-watt motor and a maximum pitcher capacity of 16 oz. so you can see straight away that overall the Nutribullet is both more powerful and has a bigger capacity that is going to suit larger families. Bullet Blenders generally are a great option if you like to start your day the healthy way, providing your family with a fresh smoothie packed with essential vitamins and minerals. 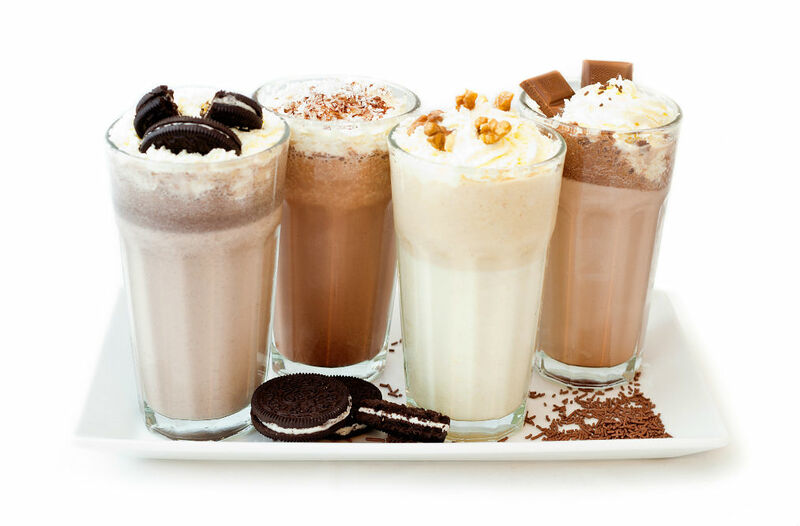 With impressive power and sleek design, they’re becoming increasingly popular with consumers and unlike full-sized blenders, that smaller capacity does actually come in handy when you just want to whip up a single smoothie glass, perhaps for yourself, that you can grab for after that morning gym session. 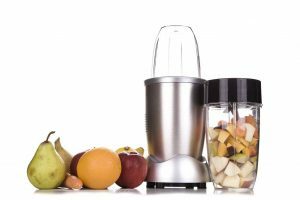 The other advantage of bullet style blenders is that they have a high spinning capacity which enables them to effortlessly grind and crush seeds, stems, pits, vegetable and fruit flesh to make more nutritionally dense smoothies and soups. They retain more of the good stuff. High-speed blenders like the Nutribullet and the Magic Bullet go even further with durable steel blades which have been explicitly designed to grind and crush a wide range of vegetables but also with a milling blade that makes these models of bullet style blender suitable for grinding nuts and seeds too. It’s little wonder why the Nutribullet and Magic Bullet are such popular choices with health-conscious consumers today. 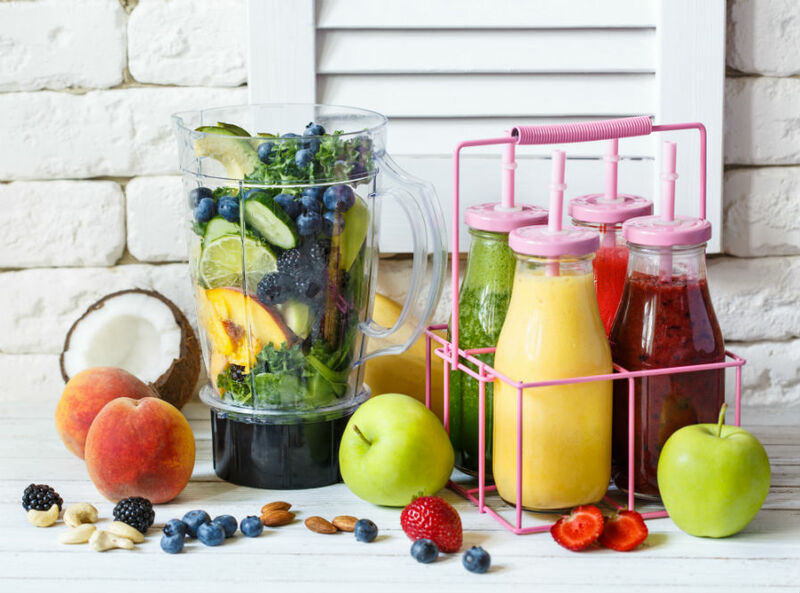 The Nutribullet has taken the brand to the next level, continually raising the bar and bringing out new models and accessories to entice and keep the consumer coming back for more. There are various options when it comes to horsepower, sizes, and capacities which sets it apart from the Magic Bullet. We’re looking today at the 600-watt version to get a more of a side-by-side comparison with the Magic Bullet, but we have to point out that this is their least-powerful model and even then, it dwarves what the Magic Bullet offers. It does a superb job of blending up those fresh fruits and vegetables to create a deliciously and densely nutritious smoothie. 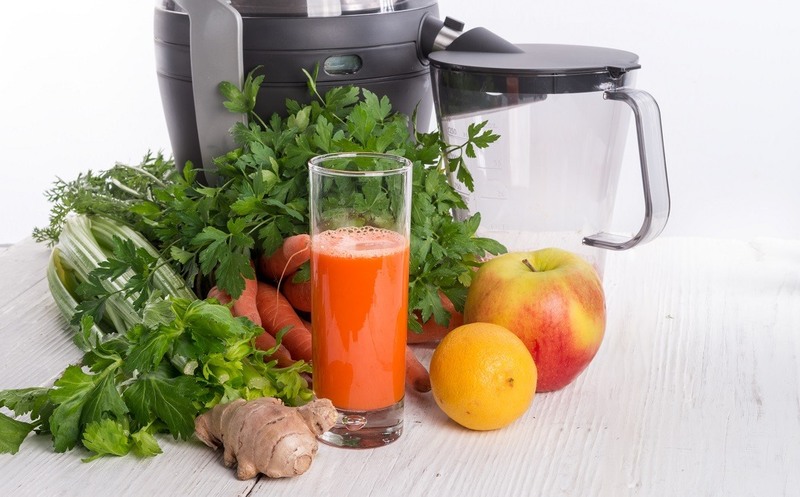 Another advantage of the Nutribullet that consumers like is that silent running operation. 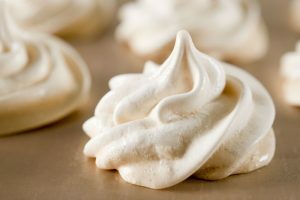 You won’t wake the whole household up whipping up that morning shot of goodness. Also, because it features a milling blade, you can also grind up seeds and coffee beans, as well as rolled oats, so you prepare more diverse recipes using your Nutribullet, always ensuring something healthy is available for your family to enjoy. Easy to clean, the parts can be removed and placed in the dishwasher, and it’s also constructed from BPA-free materials. For families as well as single servings, this makes a great choice. What’s So Magic About This Bullet-style Blender? It’s recognized and loved as being the original in the bullet blender series and helped to popularize and launch the entire category. The Magic Bullet hasn’t diversified since it was created, so you’re not faced with an overwhelming choice in terms of styles and sizes. You get the original Magic Bullet, and quite frankly, that’s good enough without having to add on lots of new bells and whistles and unique accessories. The one size style is probably its most significant advantage as you know exactly what you’re getting, but that doesn’t mean it’s not functional. The original set still comes with 11 pieces including cups and lids along with a handy recipe book which is packed with healthy, tasty and nutritious ideas that all the family will enjoy. There are plenty of recipes that can quickly be whipped up in under 10 seconds which makes serving your kids something healthy in the morning a complete breeze. Overall we recommend the Magic Bullet as being an excellent option for a single serving, so it is perfect for anyone who loves to take a healthy smoothie to work on that daily commute or enjoy a protein shake post gym workout. It’s not ideally suited to larger families because of the smaller sized capacity. The power is lower than the Nutribullet too at 250 watts, so it’s going to struggle with crushing ice. As we said, this is perfect for whipping up thick and delicious style smoothies. It’s easy to operate, inexpensive and is made from BPA-free materials that can be conveniently placed into the dishwasher for cleaning. 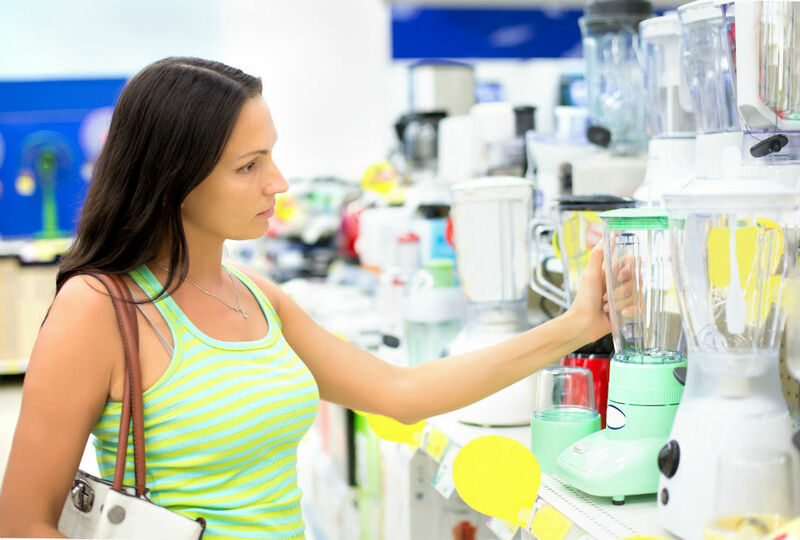 While the Nutribullet and Magic Bullet are both great options when it comes to making smoothies, we recommend that you don’t just consider the price points or the power but more importantly, consider which model of blender best fits your needs. For affordable, single servings, the Magic Bullet makes a lot of sense and is portable and practical. However, if you are going to be making smoothies on a Sunday morning for the whole family, you need the more significant power and capacity of the Nutribullet. Both have the advantage of being easy to clean and operate so the choice, as they say, really is yours.